Both the temperature and competition sizzled at the 2015 Jamie Martin Invitational held in the Kingston Town Commons. Both races got off to a hot pace early with the win going to the athlete best able to withstand the hot muggy conditions. In the women’s race, Windham’s Susan Poore jumped out to an early lead with a chase pack headed by Hollis Brookline’s Sarah Crampton. But Poore would build a steady gap during the race and by the time she reached the 2 mile mark, she was away free and clear. Crampton was able to create some space by that time as well and gap the battle back to third. 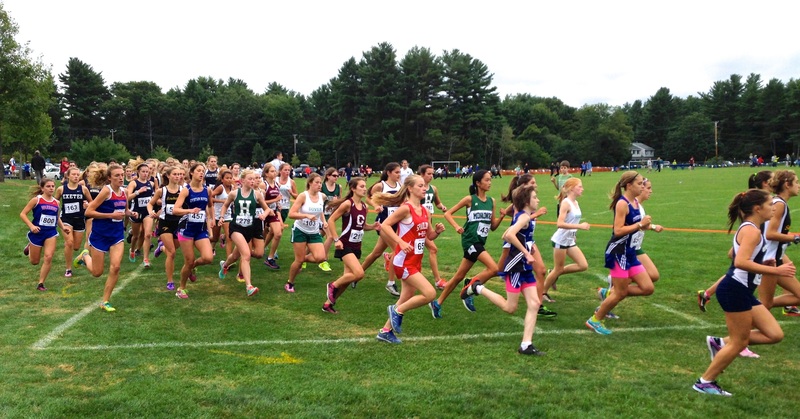 Four harriers would battle back and forth across the Commons headed to the finish, with the outcome being ConVal’s Clare Ververka beating out Windham’s Pomeroy and St. Thomas runner Maddie Baughn. 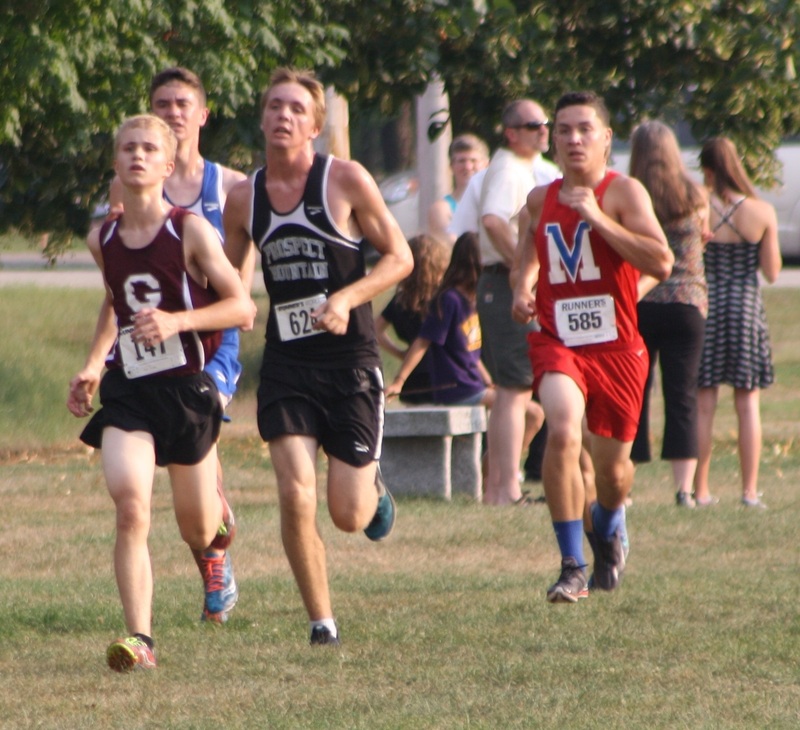 With two runners in the top five, Windham made the Cavaliers of Hollis Brookline work for this year’s repeat win, 52 – 55, with ConVal, Kingswood and Campbell rounding out the top five teams. The men’s race went off at a hot pace as well, with Gilford’s Ryan LaFrance setting the pace up front. However there was no gap to be made as Kingswood’s Hunter Miller shadowed LaFrance, with a pack of about ten in hot pursuit across the Commons and into the mile mark. But on the return trip, LaFrance and Miller would open a small gap that would hold to the end. Miller who has built a reputation for quick starts, added a quick finish to his repertoire to take this one, opening a ten second gap into the finish in 16:24.8. LaFrance followed ten seconds later. Windham’s Peter Caron beat Conant’s Dane Seppala and Mascenic’s Avery Traffie to the line with the top five breaking the seventeen minute barrier. Mirroring H-B’s repeat win, the Viking’s of Mascenic repeated as champions with a slightly bigger gap, 117 – 132 over Kingswood. Kearsarge held the third spot, with ConVal and Goffstown tied for fourth. Watch out for the Kearsarge boys, definitely on the up and up.